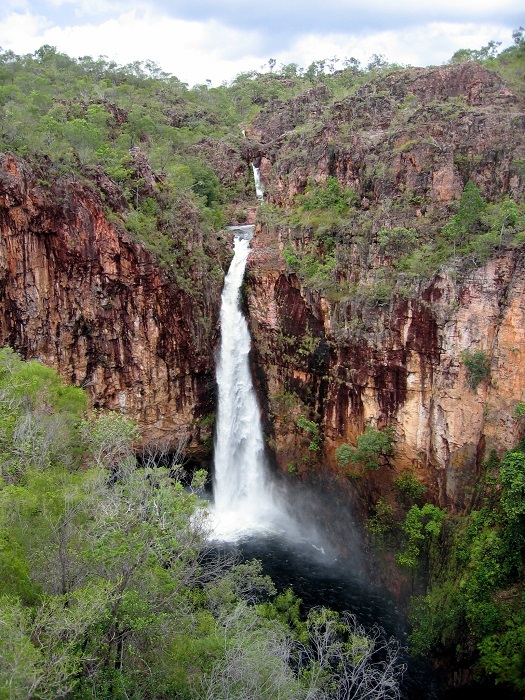 Tolmer Falls is a plunge waterfall that is located in the Litchfield National Park, in the Northern Territory of the Commonwealth of Australia. 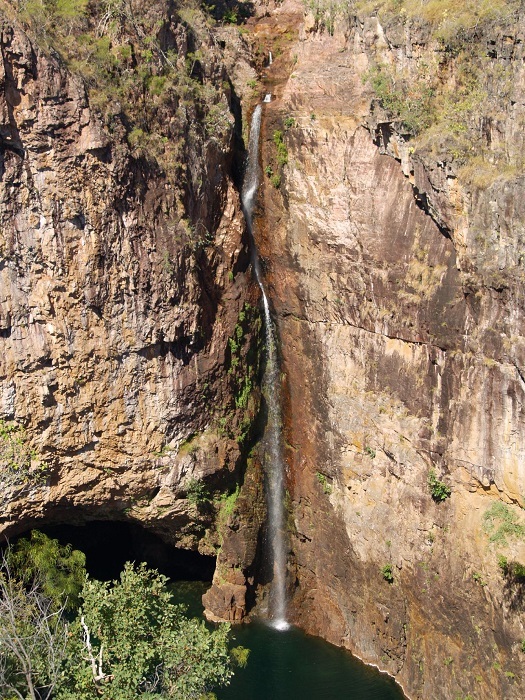 As it cascades over two high escarpments into one deep pool, the waterfall is measured between 32 meters (105 feet) and 42 meters (138 feet) in height, although it is 102 meters (335 feet) above the sea level. 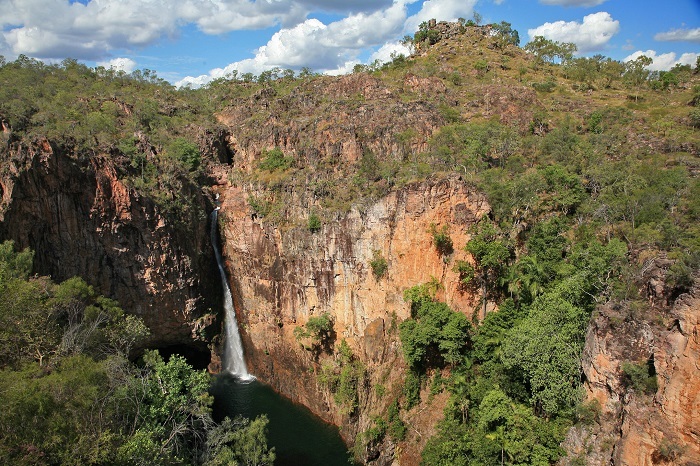 Hidden in a very narrow gorge of the Tolmer Creek, this magnificent work of art is reachable through the road which is connected with the loop road that encircles the northern part of the Litchfield NP. There is a viewing platform which does not give advantage of seeing the falls from different angles, nonetheless, it is definitely something worth visiting. Usually at sunset the colors are more vivid, since the bright orange-yellowish light enlightens the top part of the falls, while the bottom part gives a more mysterious, darker sensation which inspires the visitors to believe that there is some kind of bottomless hole where the pool stands. 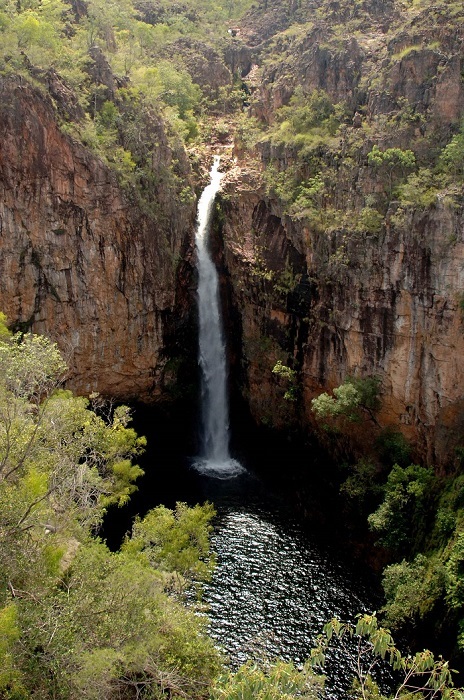 Named by the Australian explorer Frederick Henry Litchfield after the police officer of South Australia, Alexander Tolmer, who was a colleague of his father, Tolmer Falls today can be named certainly as one of the most impressive sights of the Northern Territory. 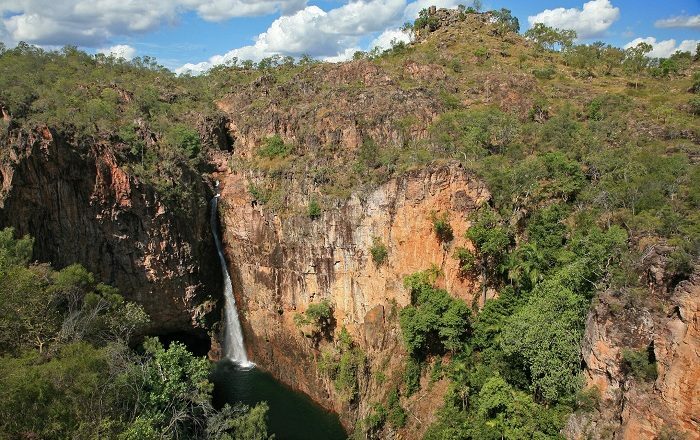 All in all, tucked away between the rocks and peeking trees, Tolmer Falls will give an extraordinary experience to all those who would dare themselves to get here in the wilderness of the Litchfield National Park.